Blue Star Mothers are mothers, stepmothers, grandmothers, foster mothers and female legal guardians who have children serving in the Military, Guard or Reserves, or have children who are Veterans. Blue Star Mothers support each other and our children while promoting patriotism. The Blue Star Mothers focus on our mission every single day and will never ever forsake our Troops, our Veterans or the Families of our Fallen Heroes. 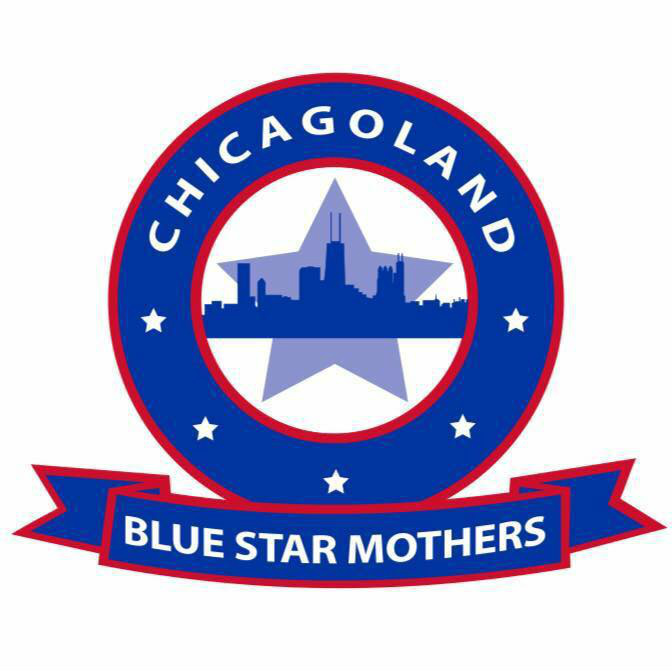 The Blue Star Mothers of America, Inc. is a non-partisan, non-political, non-sectarian organization. We are also an official licensed 501c3 organization. The Chicagoland Blue Star Mothers Chapter was chartered in January 2016. We do not support any political candidate nor do we endorse any religious organization. The military represents all aspects of America as does our organization. Links to our website do not represent an endorsement. We meet on the second Thursday of every month at 6:30pm in the meeting room at the Warrenville VFW at 3S371 Mignin Drive, Warrenville, IL 60555. We encourage you to Join Us by signing up at http://www.bluestarmothers.org.